Efficient, haggle-free and extremely reasonable. I would highly recommend their service. Service was prompt and efficient. I will recommend 1st choice to anyone who needs a plumber who knows what he is doing and gets it right the first time. Very happy with service - called late morning, they cam e same day to fix it! Would highly recommend! 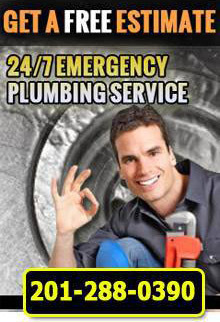 Are you looking for plumbers in Bergen County, NJ that you can count on? At 1st Choice Plumbing, Heating and Drain Service, our plumbers in Bergen County, NJ provide a full range of residential and commercial plumbing services in North NJ. As homeowners and business owners, our plumbing professionals understand the hassle of both major and minor plumbing problems. No matter the size or complexity of the job, our plumbers in Bergen County, NJ can fix it all. At 1st Choice Plumbing, Heating and Drain Service, we perform repairs, installations and maintenance for products of any manufacturer. Quick fixes such as grocery store remedies or do-it-yourself plumbing techniques never fully eliminate plumbing problems. They can actually end up making your situation worse. When you need plumbing services in North NJ, contact professionals you can trust. At 1st Choice Plumbing, Heating and Drain Service, we are fully insured, licensed and bonded to provide prompt and efficient plumbing services. If you are interested in plumbers in Bergen County, NJ that you can depend on, Let 1st Choice Plumbing, Heating and Drain Service help you! For more information on our plumbing services or for a free plumbing estimate in Bergen County, NJ, call 1st Choice Plumbing, Heating and Drain Service at (201)288-0390. We look forward to helping you.